Megan’s Maze is representative of highly personal commission work. 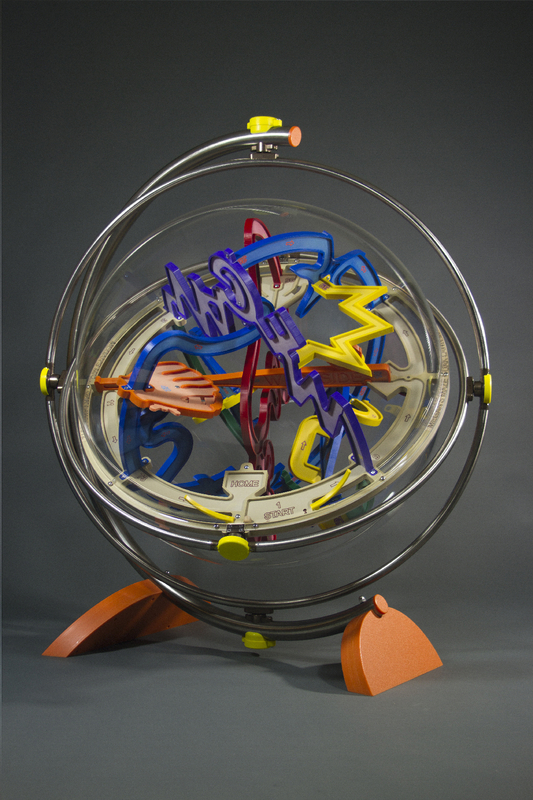 Custom Superplexus interactive sculptures can be designed for your individualized needs. Created as a memorial for a young girl, this example employs specific colors, unique forms, and a special storyline. Forms include: a seahorse, two dolphins, a whale, a starfish, a meandering river, lightning, a regulation sized softball, mitt, and bat, a softball diamond, and the name “Megan”. Megan’s Maze also employs visco-dampers at every gimbal pivot, which regulates spinning speed.